As at the end of January 2016, the UK personal debt was £1.460 trillion up from £1.428 trillion registered at the end of January 2015. What this essentially means is that the amount of debt by a UK adult increased by £631.15 in the last one year. Going by these statistics, consumer debt in the UK continues to spiral at an alarming rate so much so that most UK citizens are turning towards credit cards as a means of extending their income. Of course, with this revelation comes the need for UK citizens to find a way through which they can get out debt before the situation becomes worse. Debt settlement companies in the UK have played a very important role in helping those who are deeply indebted get out of debt. However, the kind of services you get from a debt settlement company is dependent on the kind of company you choose to do business with. Due diligence and proper research is of essence lest you find yourself in a quandary. Before you settle or choose a given debt settlement company in the UK, it is quintessential that you ask a number of questions and make a decision based on how satisfied you are with the answers. Is the debt settlement company you wish to engage accredited? If you want the best services, it is highly recommended that you consider a UK debt settlement company that is duly accredited. The purpose of accreditation is to ensure that consumers are not swindled or end up engaging with quack business entities. Accreditation gives you the confidence that a given debt settlement company has been evaluated by a third party and that they conform to due process. How much does the debt settlement service cost? Considering the fact that you are already steeped in debt, you do not want to enlist the services of a debt settlement company that is exorbitant. The cost of the debt settlement service should be affordable and in tandem with your monthly budget. You do not want to strain your finances while at the same time seeking to get debt relief. As such, you need to choose a debt settlement company whose cost you can meet without further putting financial strain on yourself. Is there an assurance of service guarantee? Of what use would it be for you to enlist the services of a debt settlement company, if you can’t get a guarantee of debt relief? In any case, it would be foolhardy for you to pay for debt relief services if there is no guarantee that the service would settle your debt. 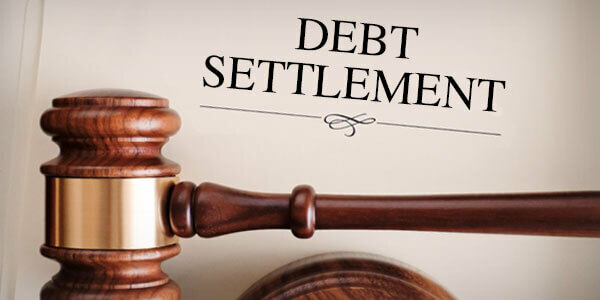 You should not pay a single cobble if a UK debt settlement company cannot guarantee you settlement for your debt. Are there debt arbitrators certified by a relevant UK body? This is very important as certified debt arbitrators have a solid grasp of the laws and understand your financial situation to settle your debt in your best interests. A good debt settlement company should have certified arbitrators who work on your behalf and have a great understanding of the various financial laws to ensure that you get the best deal and that your debt is settled as soon as possible. All the above questions give you an idea of the kind of services you expect to receive and how effectively your debt can be settled. After all, you want to get out of debt as soon as possible!